Joseph Werner Bardenhewer (30 January 1929 − 10 April 2019) was a German Catholic priest. He was Dean of Wiesbaden, the state capital of Hesse, at the central parish St. Bonifatius from 1974 to 1996. He served for two years at the Eibingen Abbey founded by Hildegard of Bingen. In 1999, he founded the Wiesbaden chapter of the charity organisation Africa Action, which provides help in health care and education in countries of the Sahel region. He was active as a priest until his death, and had traveled to West Africa to contact the partner organization. [ which? ] He received Burkina Faso's highest national award, the Knight of the country's National Order, in 2016. Fribourg or Freiburg is the capital of the Swiss canton of Fribourg and the district La Sarine. It is located on both sides of the river Saane/Sarine, on the Swiss Plateau, and is a major economic, administrative and educational center on the cultural border between German and French Switzerland (Romandy). Its Old City, one of the best-maintained in Switzerland, sits on a small rocky hill above the valley of the Sarine. Nauort is an Ortsgemeinde – a community belonging to a Verbandsgemeinde – in the Westerwaldkreis in Rhineland-Palatinate, Germany. St. Bonifatius in Wiesbaden, Germany, is the central Catholic parish and church in the capital of Hesse. The present building was designed by architect Philipp Hoffmann in Gothic Revival style and built from 1844 to 1849. Its twin steeples of 68 m dominate the Luisenplatz. The parish is part of the Diocese of Limburg. 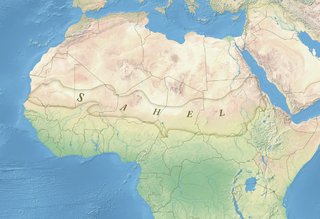 The Sahel is the ecoclimatic and biogeographic zone of transition in Africa between the Sahara to the north and the Sudanian Savanna to the south. Having a semi-arid climate, it stretches across the south-central latitudes of Northern Africa between the Atlantic Ocean and the Red Sea. The name is derived from the Arabic word sāḥil meaning "coast" or "shore" in a figurative sense, while the name in Swahili means "coastal [dweller]" in a literal sense. Mariä Heimsuchung in Wiesbaden, Hesse, Germany, is a Catholic church in Kohlheck, part of Wiesbaden's suburb of Dotzheim, consecrated in 1966. It is dedicated to the Visitation (Heimsuchung). The tall concrete building is a landmark of Wiesbaden. It features two large triptychs by the Wiesbaden painter Otto Ritschl. The parish Mariä Heimsuchung is now part of a larger parish, in the Diocese of Limburg. Rüdesheim am Rhein is a German winemaking town in the Rhine Gorge, and part of the UNESCO World Heritage Site in this region. It lies in the Rheingau-Taunus-Kreis district in the Regierungsbezirk of Darmstadt, Hesse. Known as Rüdesheim, it is officially Rüdesheim am Rhein, to distinguish it from Rüdesheim an der Nahe. It is a major tourist attraction, especially for foreign visitors. Michael Herrmann is a German culture and music administrator. He founded the Rheingau Musik Festival in 1987 and is its Artistic Director and Chief Executive Officer. He also runs a concert agency in the Frankfurt Alte Oper, the Pro Arte Konzertdirektion, and started an agency for concerts in the Kurhaus Wiesbaden in 2019, Wiesbaden Musik, beginning with a concert on his 75th birthday. Wolfgang Rösch is a German Catholic priest. He was from 2010 to 2013 Dean of Wiesbaden at the parish St. Bonifatius. From 23 October 2013 he has been vicar general of the Diocese of Limburg, also administering the diocese during the absence of the bishop. Rheingauer Kantorei, now Neue Rheingauer Kantorei, is a mixed choir of the Rheingau region in Germany, performing mostly sacred music in services and concerts. Frank Stähle was a German musician, a chorale conductor and the director of Dr. Hoch's Konservatorium in Frankfurt from 1979 to 2007. Lothar Zenetti was a German Catholic theologian, priest, and author of books and poetry. In Frankfurt, he was both a minister for young people and a parish priest. He was also active on radio and television. His songs, for example the popular "Das Weizenkorn muss sterben" and "Segne dieses Kind", appear in both Protestant and Catholic hymnals. Wilhelm Kempf was a German Catholic theologian who served between 1949 to 1981 as Bishop of Limburg. 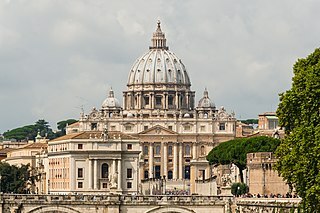 After the Second World War, he introduced the reforms of the Second Vatican Council to his Diocese. On 19 January 2019, the government of Burkina Faso dissolved due to the resignation of Prime Minister Paul Kaba Thieba and all members of his cabinet. President of Burkina Faso Roch Marc Christian Kaboré announced that he intends to form a new government; on 21 January, he began the process of appointing a new government by naming Christophe Joseph Marie Dabiré as the new Prime Minister, but his cabinet remains vacant. In the days leading up to the resignation of the government, the country faced a number of attacks from militant terrorist groups, and opposition members of government had previously called for the prime minister and defense ministries to step down, citing an inability to address terrorist attacks. 1 2 "Le candidat Soumaïla Cissé après la conférence régionale de l'URD à Tominian : "Nous devons respecter nos institutions malgré les difficultés du moment ..."". malijet.com (in French). 15 February 2012. Retrieved 17 January 2019. 1 2 3 4 5 6 7 8 9 Dahlhoff, Benjamin (8 December 2015). "Pfarrer i. R. Werner Bardenhewer" (in German). St. Bonifatius, Wiesbaden. Retrieved 16 January 2019. 1 2 "Pfarrer Bardenhewer wird 90" (in German). Diocese of Limburg. 9 January 2019. Retrieved 16 January 2019. 1 2 3 Hollingshaus, Anke (30 January 2019). "Früherer Wiesbadener Stadtdekan Werner Bardenhewer feiert seinen 90. in Burkina Faso". Wiesbadener Kurier (in German). Retrieved 30 January 2019. 1 2 3 4 "Sonderausgabe 12. April 2019 / Wir trauern um Pfarrer Joseph Werner Bardenhewer" (in German). africa action / Deutschland [ de ]. 12 April 2019. Retrieved 13 April 2019. 1 2 Hollingshaus, Anke (January 2018). "Hilfe für Blinde: Früherer Wiesbadener Stadtdekan Werner Bardenhewer besucht mit Delegation Burkino Faso". Wiesbadener Kurier (in German). Retrieved 16 January 2019. ↑ Gerber, Manfred (18 February 2011). "Bardenhewer als Namensgeber – Afrikahilfe Augenklinik in Mali nach dem früheren Stadtdekan benannt". Wiesbadener Tagblatt (in German). Retrieved 16 January 2019. ↑ "Allein für Gott" (in German). Echter. 2018. Retrieved 17 January 2019. ↑ Kardinal Philippe Ouédraogo: Gott allein genügt. Translated from French to German by Stefanie Götzmann, edited by Werner Bardenhewer. Echter Verlag, 2018, ISBN 978-3-429-05317-8. ↑ Travers, Thérèse (January 2018). "Bericht über die Reise nach Burkina Faso / Januar 2018" (PDF) (in German). africa action /Deutschland. Retrieved 16 January 2019. 1 2 Grella, Peter (27 February 2016). ""Père Joseph ist ein Träumer" / Die Republik Burkina Faso verleiht dem früheren Stadtdekan Werner Bardenhewer die höchste Auszeichnung des Landes" (PDF). Wiesbadener Kurier (in German). Retrieved 17 January 2019. Wikimedia Commons has media related to Werner Bardenhewer .